Don’t we all play the same? This research project with partners Greenside School, Kingston School of Art and Tate London Schools and Teachers, brings together groups of people who would, educationally, otherwise be completely separate. It aims to discover similarities in the way we approach and interact with materials and art works, generating new forms of collaboration, ways of inhabiting and exploring the gallery, its architecture and the art works within it. Creating a space of playful excitement, and reframing the gallery as an open and inclusive environment. 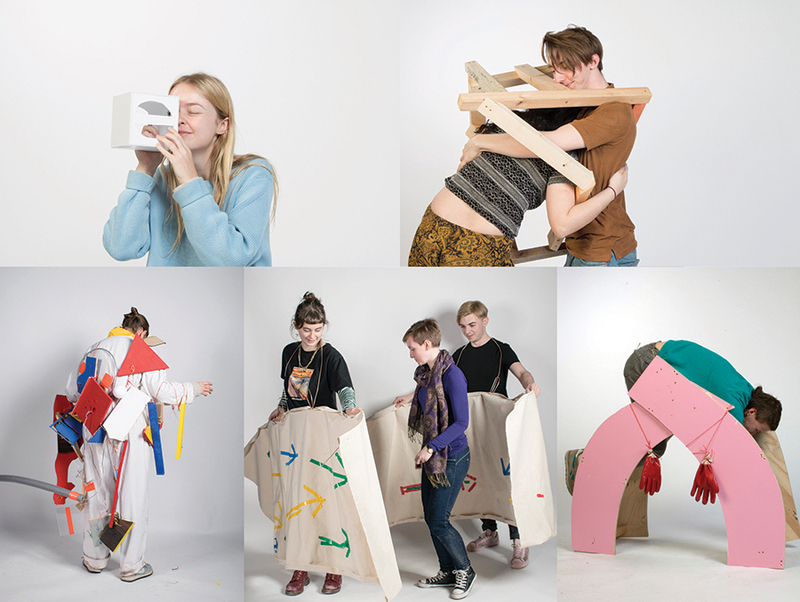 A participatory artwork involving groups of undergraduate Fine Art and Sculpture students from Kingston School of Art and University of Brighton and the artist membership of Devonshire Collective. The idea behind these workshops was to explore the physical and imaginative possibilities of sculpture through improvisation and play. Participants were invited to build and construct sculptures which were then taken to the film studio to be performed with. This was not just the presentation of finished work but an important part of the making process through which we learned about what we had made and what it could do together. 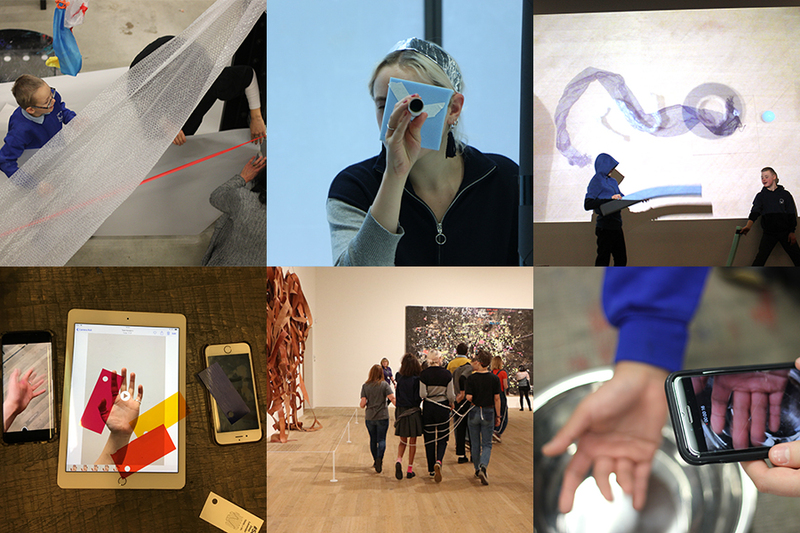 A five-day workshop series for teachers and other arts professionals exploring experiential modes of art making, using instructions and invitation, making and talking, play and improvisation. Working with Claire Undy, Heart n Soul, Rachel Cattle Jon Owen and Corali Dance Company. The premise for these workshops was to develop a particular style of learning and exploration which was direct, embodied, often physical, without fixed expectations or narrow success criteria, in which participants were given the freedom to explore ideas, materials or approaches in their own way. The job of the workshop leader becoming one of initiator, enthusiast and sensitive observer. A one-day workshop at Tate Britain for teachers and other arts professionals looking at techniques and strategies for activating the gallery and engaging and supporting young people with SEND to work in unconventional ways. 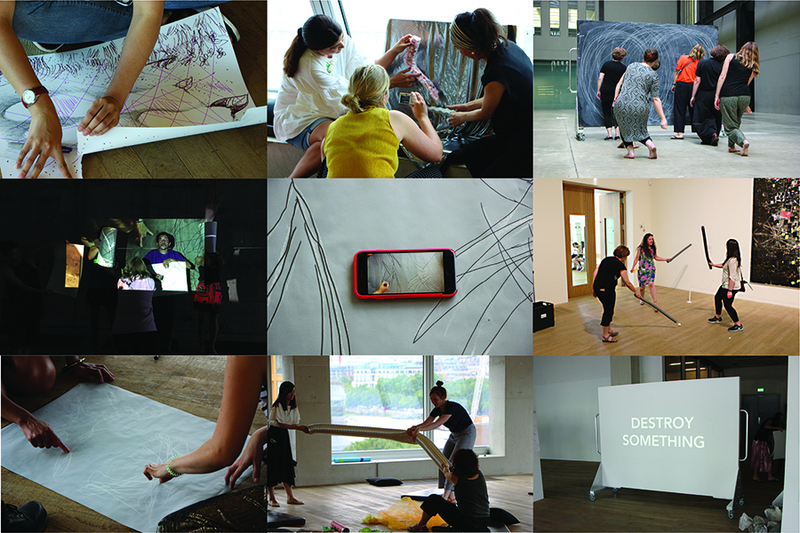 Six workshops inviting different community groups to engage with the questions and techniques of sculpture and photography. In each workshop a different question was posed which participants were invited to explore using particular materials and techniques. Their contributions, arranged and displayed on a large-scale outdoor exhibition space constituted our collective answer to the questions. Come As You Are - Turner Contemporary Margate, Arnolfini Britstol and C-Art Cumbria. Participatory performance in conjunction with a theatre piece at the Theatre Royal Margate, in which members of the public stood on a revolving plinth whilst improvised text appeared above them on a lazer display board, based on a series of questions they had been asked to answer. A ten week Saturday club for young people with SEND exploring movement and dance and incorporating object making and photography to extend, inspire and record movement content creating dance objects and projected backdrop for the final performance. Two-year artist residency across three federated primary schools in East London with Olivia Camden. This project involved working closely with year 3 and 4 students to create permanent installations and artworks around the schools, introducing children to new art making techniques and processes.